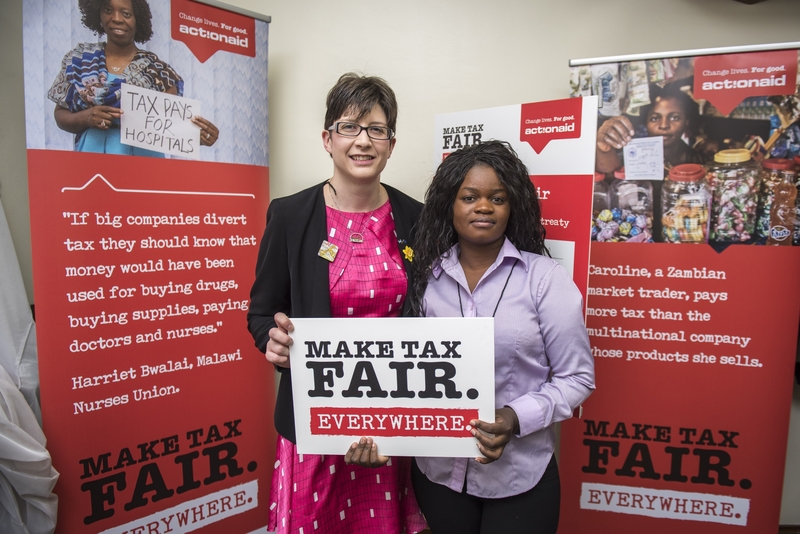 Alison Thewliss MP has backed a campaign calling for a fair tax deal for Malawi, a country with strong historic links with Glasgow Central. ActionAid’s #MakeTaxFair campaign is pushing for reform of the 1955 UK-Malawi tax treaty, which makes it possible for UK companies operating in Malawi to dramatically reduce their tax bill. The call is part of a wider campaign to reform unfair tax treaties. Scotland has had close links with Malawi, dating back to when Scottish explorer David Livingstone arrived in Malawi in the 1850s. Each year, more than 94,000 Scots are involved in organisations that link with Malawi, according to the Scotland Malawi Partnership, the national network which exists to coordinate, represent and support Scotland’s civic links with Malawi, and which is supporting ActionAid’s campaign. The Scotland Malawi Partnership has a number of member organisations in Glasgow Central which have links with Malawi. Malawi is one of the poorest countries in the world, with GDP per person of just $255 per year. This is a country where 10.5 million people live in extreme poverty – surviving on less than US$1.90 a day. More tax revenue is desperately needed to improve public services and pay for more doctors and teachers. Malawi has one of the highest child mortality rates in the world with more than one in twenty children dying before the age of 5. UK companies are the third largest investor there, with investments worth a total of US$157 million in 2010. Yet the outdated and unfair tax treaty has tied the hands of the Malawian government. The treaty was signed in 1955, prior to Malawi’s independence, by the British Governor on behalf of the governments of the British colonies of Southern Rhodesia, Northern Rhodesia and Nyasaland. The treaty is so out-of-date that it does not cover the taxation of television related income. The treaty also makes it possible for British multinationals to easily move money out of Malawi untaxed using methods such as interest or management fee payments, dividends or royalties. Ms Thewliss is supporting a joint campaign with Malawian and UK activists, calling on the Government to replace this treaty with one that is fairer, and that supports Malawi in its fight against poverty. Since the campaign launched, both the UK Government and the Government of Malawi issued statements in which they say they hope a treaty can be renegotiated soon. ActionAid and the Scotland Malawi Partnership welcome this progress, and will continue campaigning to ensure that any new treaty is fair and helps Malawi raise revenue to fight poverty. “Corporate tax scandals show how angry the British public are that big business isn’t paying its fair share. “Scotland’s long and enduring relationship with Malawi stretches back over 150 years, and today many local people in [INSERT MP’s CONSTITUENCY] are actively engaged in building up social, cultural and economic ties. But the UK-Malawi tax treaty is not fit for the 21st century. “Malawi is losing out due to an outdated and unfair treaty, which makes it possible for UK businesses operating there to dramatically reduce their tax bill. Women and girls living in poverty are the ones paying the price as public services like schools and hospitals are starved of funding.